Rhodes is one of the most wonderful Greek islands, perfectly combining history and natural beauty. The largest of the Dodecanese complex, Rhodes stands out mainly for its impressive Old Town, the stunning sandy beaches and the romantic atmosphere. There are so many amazing things to see in Rhodes, including the excellently preserved Medieval Town, the picturesque village of Lindos, green parks and lively beach resorts, with many hotels and tourist facilities. Here are our suggestions for the best places to visit in Rhodes. 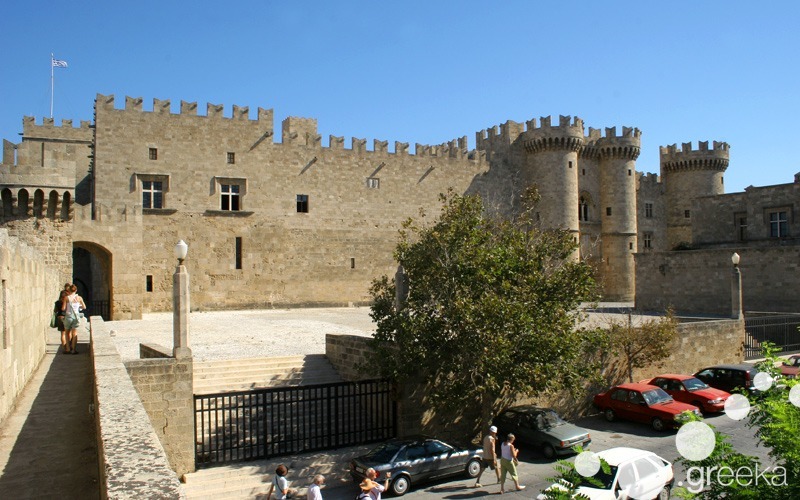 Definitely among the best places to visit in Rhodes, Rhodes Town is the capital of the island. Separated into the Old and the New Town, it distinguishes for its romantic atmosphere, historical surroundings and amazing architecture. A stroll around the Old Town will charm visitors, as they pass picturesque fountains, stone arches, old churches and narrow paved streets. This beautiful Medieval place is famous for the legendary Street of the Knights and the imposing Palace of the Grand Master. Giving an awe-inspiring feeling, the Palace is an enormous 14th century construction of Byzantine and Medieval architecture, consisting of 158 rooms with mosaic paved floors and frescoes painted by celebrated artists. It used to be the residence of the governor and an administrative centre during the Middle Ages. Now only a small number of rooms are open to visitors, but you can still admire the magnificent round towers and arched gates. South of the capital town, on the slopes of a magnificent hill, lays the gorgeous settlement of Lindos. Built amphitheatrically, the village has whitewashed houses, pebble paved courtyards, hidden alleys and buildings of Byzantine, Medieval, and Arab style. The most remarkable part of Lindos is the imposing Acropolis, standing on top of a rocky hill overlooking the scenic Bay of Saint Paul. 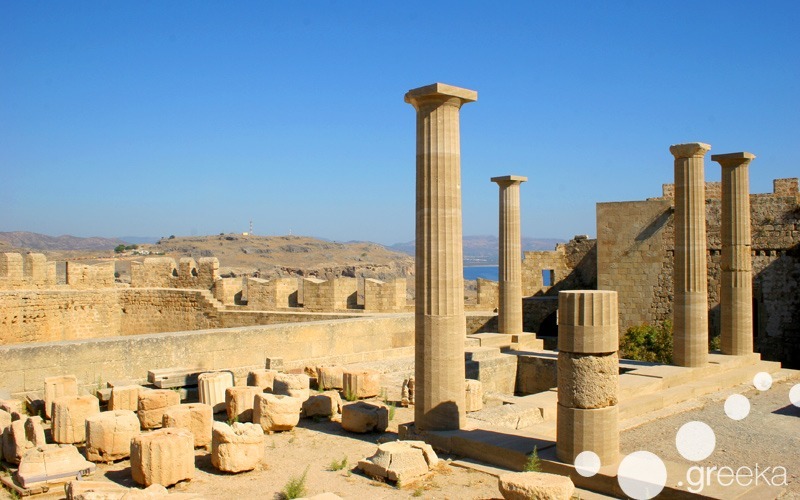 This Acropolis is actually the ancient town of Lindos, founded by the Dorians in the 10th century BC, the remains of which reveal its former wealth. Important monuments, like the temple of Athena Lindia and the Propylea of the Sanctuary, can be found at the Acropolis. Kallithea is a cosmopolitan beach destination south of Rhodes Town, famous for its nice beach and the Springs. These springs were actually bathing facilities with therapeutic water, perfect to cure various diseases. 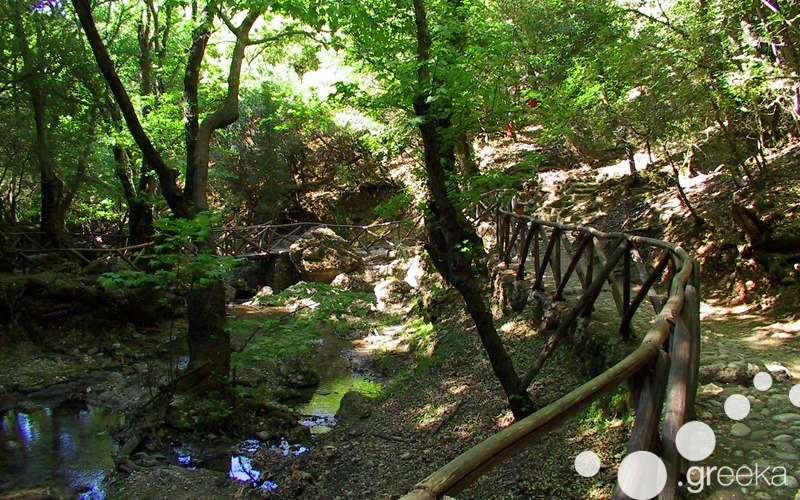 The Springs of Kallithea were originally inaugurated in 1929 and were recently renovated. This is among the most best places to visit in Rhodes and many weddings take place there every summer. 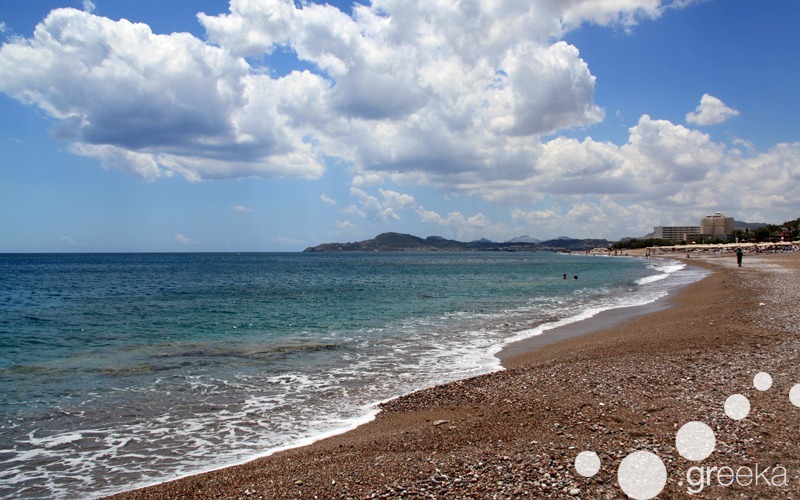 The long beach of Tsambika is one of the best places to visit in Rhodes, ideal for relaxation. The beach offers golden sand, crystal clear turquoise waters and is close to the famous Monastery of Tsambika, standing on top of an imposing rock. 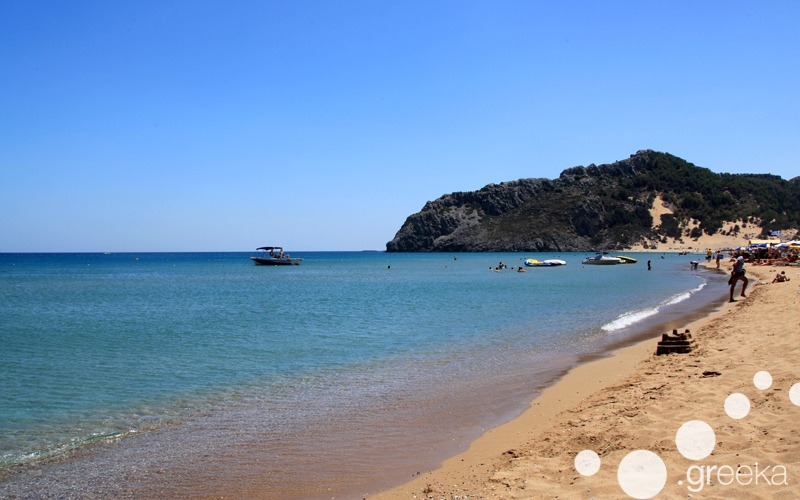 Located 25 km south of Rhodes Town, Tsambika beach is well tourist developed with plenty of amenities and fun water sports. Traveling to the western side of Rhodes, you will find the most beautiful part of the island, the Valley of Butterflies. This is a place of immeasurable beauty, natural home to the Panaxia Quadripunctaria butterfly species, colourful and gracious. Stroll around the footpaths among lush greenery and flowing streams and experience the magic of the valley, which looks like it came out of a fairytale.